Celebrating Advent :: Part 1 ~ This post talks about the tradition of the advent calendar, why I think it's valuable, some links to different ones that you can make yourself, and how we make it work in our home. While autumn really might be my favorite season, nothing compares to the time of year we're entering. The more we can keep it fun and simple and not overwhelming -- for everyone involved -- the better. 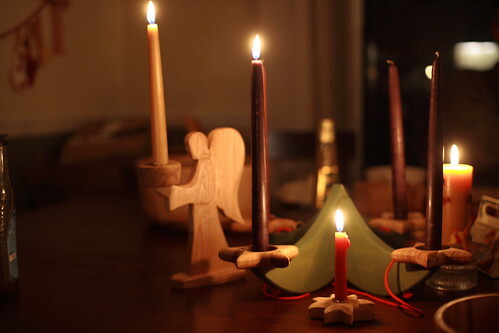 That's what I hoped to capture in these advent posts, and it's what I wish for most dearly for my own family. I hope to have shared a bit of that gift with all of you through these posts.